For over 150 years, the Diocese of Brooklyn has embraced and celebrated the diversity of its communities, families, and faithful. Generations of Catholics have been raised in our tight-knit neighborhoods, celebrating their Catholic faith at our many parishes, and building our church for the future. We have been richly blessed. With those blessings comes the responsibility to share with future generations all that we have received. Generations of Faith, the capital campaign for the Diocese of Brooklyn and Catholic Foundation for Brooklyn and Queens, launched in April 2015 with the goal of $80 million. We have raised more than $120 million to date! The Catholic Foundation for Brooklyn and Queens invites you to join the 40,000 donors across Brooklyn and Queens. Together we will strengthen our Catholic faith in the heart of Brooklyn and Queens for generations to come. “We thought this would be a real challenge, but we pledged 188% of our goal, which was originally $605,000 with $1,150,836 raised in pledges! We ended up being thrilled at the end of it, and as the parish starts some of the projects earmarked from Generations funds, we are incredibly grateful. The people are very giving in a very practical way. They really work hard to build a community and they support the mission of the church and all of the diocesan events that happen." We are blessed with beautiful churches, where the Eucharist is celebrated daily. Embracing our mission to grow ever more perfectly into a community of praise, worship, and witness, Generations of Faith recognizes the central role of parishes in the day to day life of the Church. The campaign will allocate the largest portion of the campaign goal - $40 million - directly for parish needs. Through a comprehensive youth ministry approach that has proven successful in other Dioceses, the initiative provides on-site support to parishes through funding salaries of youth ministers, and grants for ongoing resources and professional development. With an additional investment of $10 million over the next five years, the program can expand to parishes across the Diocese by 2020. 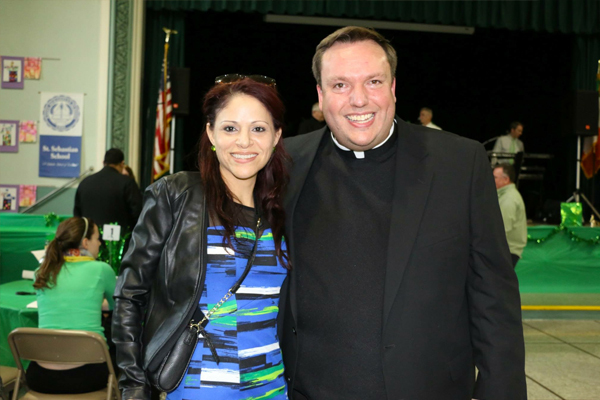 Father Abels grew up nearby in Middle Village and has been pastor at St. Sebastian’s since 2014, with his first assignment being at the church back in 2003. Approximately 6,000 diverse parishioners attend Mass at the church in Queens every Sunday, coming from Irish, English, Filipino and Hispanic heritage. 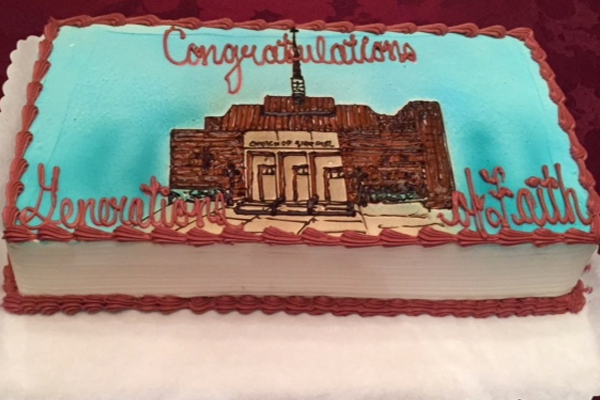 This year, St. Sebastian’s is 121 years old, coming close to celebrating their 125th anniversary in just a few short years. “Asking for money is not always easy,” Father Abels said. He was “anxious about it, but hopeful that people would respond, and they did!” They responded so well that not only did St. Sebastian’s reach their $1.4 million goal, but they far surpassed it by raising $1.7 million from just over 600 pledges, an incredible accomplishment. 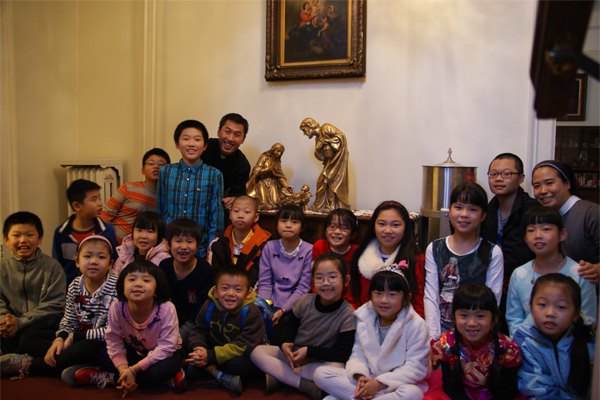 A melting pot of ethnicities, St. Agatha has a large Hispanic and Chinese community. These diverse groups of parishioners are very excited about the idea of passing on their faith to future generations. Father Do, pastor of St. Agatha said, "The majority of the parishioners came into a church that was already built for them – none of the current parishioners were around when the church was first built. So that's a terrific example of what they had from previous generations and is something they want to work toward maintaining for future generations to come. Our Lady of Solace, located in Coney Island, has more than 500 registered families attending Mass weekly with Father Shiju Chittattukara. The parishioners at Our Lady of Solace are continuing to rebuild following devastation caused by Superstorm Sandy in 2012.“Initially, I was happy about the title ‘Generations of Faith’. I was excited to motivate my present generation of Catholics to sacrifice for past and future generations of Catholics,” Father Shiju shared. The parishioners at Our Lady of Solace “were nervous, considering all they had been through with Sandy." Being victims of Sandy, “the parish collections dropped by close to $100,000 and the people that were giving in the past could no longer afford to do so. But, I knew that a community we were resilient and that we would come out on top, given time,” Father Shiju explained of his parish’s spirit after the storm.